Comments: Sophisticated exterior style, versatile capability and innovative high-tech featured all come together in the 2018 Jeep Compass. The aerodynamic design exudes a confident stance. Clever visual cues like the available black roof and bright chrome molding that wraps dramatically around the rear and sides give the Compass an upscale, sophisticated profile. The Compass interior rethinks and redefines the cabin experience. Quality materials, detailed craftsmanship and state-of-the-art, high-tech features blur the lines between sophistication and capability. 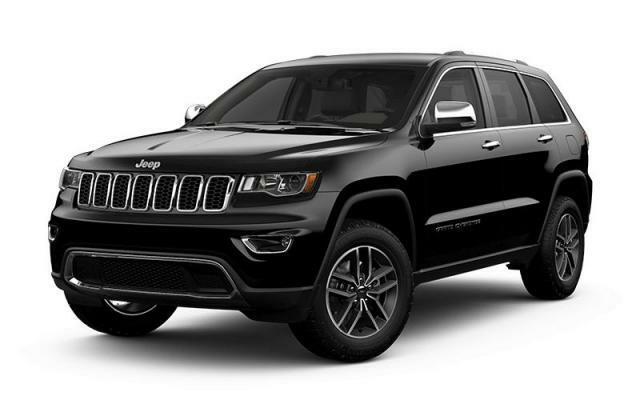 Available with the Jeep Active Drive and Jeep Active Drive Low (Trailhawk only) 4x4 systems, the Compass is ready to take on the trails and any weather condition it may encounter. Driver and passengers are protected by more than 70 available safety and security features. Seven standard airbags and multiple advanced active and passive safety and security features help the Compass deliver protection you can count on. RADIO: UCONNECT 4C NAV W/8.4" DISPLAY, BLACK W/RED ACCENTS LEATHER-FACED SEATS W/PERFORATION, BEATSAUDIO PREMIUM SOUND SYSTEM. Canmore Chrysler Dodge Jeep Ram in Canmore, Alberta has an outstanding line up of All-New Vehicles just like this vehicle on our lot for sale. Our strong and committed sales staff has many years of industry knowledge and experience to help you find the perfect brand new car, truck or SUV for your needs. Nestled comfortably between Banff and Calgary while surrounded by the majestic Rocky Mountains, Canmore Chrysler is the perfect location to shop and test drive your next vehicle. We are an AMVIC Licensed Dealer. All prices are in Canadian dollars (unless otherwise indicated). Call us today at (403) 678-5881 and make your appointment to see this vehicle or any of our other vehicles here. We look forward to seeing you soon.